When I started to experiment with watercolors, my go-to subject was my family golden retriever, Suki. 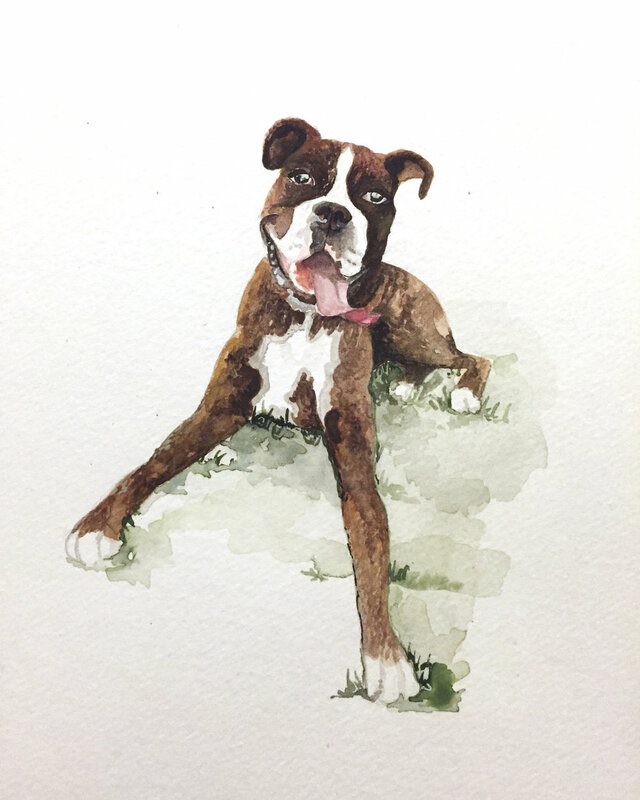 Friends and family saw these sketches and asked for paintings of their own beloved pets. This has since developed into a flourishing side gig. I get the most requests for custom pet portraits, but have painted homes, children, man-buns, and wedding gifts. Want to read more about how this project began? Click here. American comedic jazz dancer, singer, and activist. Josephine was bornin St. Louis, Missouri in 1906, and experienced riots and other racial tensions at an early age. She spent her youth learning to dance, was successful on Braodway, and in the 1920s, moved to France. This was the peak of French obsession with American jazz and she became very popular. She became one of the highest-paid performers in Europe earning admiration of many including Pablo Picasso and Ernest Hemingway. She (obviously) preferred this to the hostility and bigotry she faced back home in America, but she returned in the 1950s to support the Civil Rights Movement. When she returned to the states, her contracts included a non-discrimination clause, and demanded that the clubs she played in had mixed audiences. She fought hard against racism both in her own career, and by supporting the civil rights movement, speaking at the March on Washington, and even adopting children of many ethnicities. She was also an international artist and superstar before Aretha Franklin, Whitney Houston, or Beyonce. A new animal doodle every week. My new year's resolution for 2014 was to draw more. I wasn't drawing nearly as much as I used to, and wanted a way to keep creativity flowing in my spare time. I committed to doodling at least once a week for the whole year. Animals are my favorite subjects, so I named them "zoodles." In order to keep myself accountable, I post them on social media and Wednesday.